The yellow fever virus is only found in subtropical areas in Africa and South America, and it is transmitted through the bites of infected mosquitoes. It is very rare for U.S. travelers to become infected with yellow fever, because a certification of the yellow fever vaccine is required before traveling to affected areas. Before traveling to regions that are yellow fever-endemic, you should be given the yellow fever vaccine at least 10 days before you leave for your trip. Since measles is one of the most deadly childhood illnesses and highly contagious, vaccinations for his disease are very important. Luckily, there is an MMR (measles, mumps, and rubella) vaccine to protect against this dangerous disease. Children are typically given their first dose of MMR at about 1 year old, and their second dose before starting kindergarten in order to receive complete protection. Also highly contagious, mumps is a disease caused by the mumps virus. Before the MMR vaccine, mumps was very common in infants, children, and young adults. However, now that most people are vaccinated in the United States, it has now become a very rare disease. Also referred to as the “German measles,” rubella is also a very contagious disease caused by a virus. While rubella only lasts a few days for children, it has the potential to cause serious birth defects if acquired by a pregnant woman. Rubella is also protected against by the MMR vaccination in children. Before the 1920s, diphtheria was a major cause of illness and death among children, with up to half of the people who contracted the disease dying from it. However, diphtheria rates dropped dramatically once the vaccination started being widely used – there were less than five cases reported in the U.S. in the last decade. There are four combination vaccines that can be used to prevent diphtheria: DTaP, TDaP, DT, and TD. These vaccinations contain protection against diphtheria, tetanus, and some have protection for pertussis as well. Also called “lockjaw,” tetanus is a very serious disease that causes painful tightening of the muscles all over the body and it leads to death in about one in ten cases. This disease does not spread from person to person like most others, though; it is a bacterium that is found in soil, dust, and manure that can enter the body through breaks in the skin. To prevent contracting a case of tetanus, it is important to stay up to date on your 10-year booster shots. There are several vaccines that can include tetanus prevention, namely TDaP, DTaP, DT, and TD. More commonly known as whooping cough, pertussis is a highly contagious respiratory tract infection. Children can receive the DTaP vaccine, while adolescents and adults can get the TDaP vaccination; these protect against pertussis, tentanus, and diphtheria. Bacterial meningitis is a very dangerous form of meningitis that can prove deadly in just a few days without treatment. There are two kinds of vaccines that work to protect against most types of the disease: meningococcal polysaccharide vaccine (Monomune) and meningococcal conjugate vaccine (Menactra, Menveo, and MenHibrix). 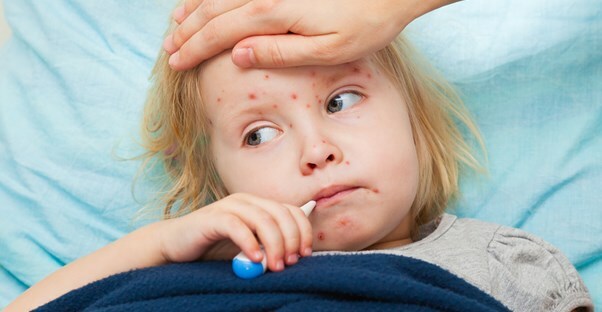 Most know it as the chickenpox, varicella is very contagious, uncomfortable, and potentially serious. After being exposed to the virus, either by contracting it, or receiving the vaccination, your body develops a life-long immunity to the disease. After the chickenpox vaccine was developed in the United States in 1995, the number of people who get chickenpox each year has gone down dramatically. The varicella zoster virus, which is what causes the chickenpox, is the same virus that can cause shingles. Anyone who has had chickenpox can develop shingles later in life. The shingles vaccination is called Zostavax, and it is recommended for adults who are 60 years and older to reduce the risk of contracting shingles.